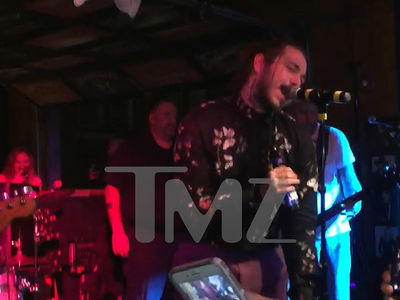 Post Malone raps about beerbongs and Bentleys, but when he's back in his hometown of Grapevine, Texas ... he hits the local bar in his Rolls-Royce drop-top. Post hit Grapevine's local watering hole, Willhoite's, Thursday night where he stole the show ... naturally. Post battled it out in a dance off and also grabbed the mic for an impromptu karaoke to Notorious B.I.G. 's "Big Poppa" ... to a live band! Post may have lost his dance battle, but he won over the crowd with his rendition of the Biggie classic. 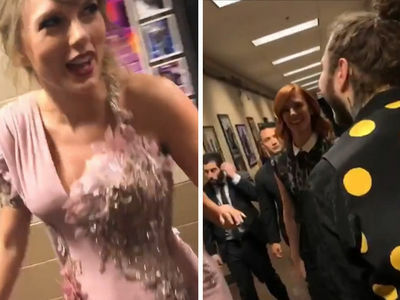 On the way out, he got mobbed like Justin Bieber leaving a Chilean hotel circa 2011. Well, almost. We'd say Post's the biggest thing to come out of Grapevine, but turns out 9-time Grammy winner Norah Jones and actress/dancer Jenna Dewan called it home too. Something in the water?